This is a pre-made, 3 days travel itinerary to Belfast, Northern Ireland, in PDF format. We have partnered with local experts from Belfast, to create an amazing 72 hours plan, with the best things to do, where to stay, what to eat, what to see and how to make the most of your time in this wonderful place. – The guide is available in PDF format, so that you can have offline access to it. You can view it from any ipad/iphone/smart phone/tablet device or laptop. Each travel guide of Guidora is offered with 100%, 30 days refund, so that we take the risk out of your purchase. In the amazingly low probability that you buy this travel guide and you feel that we did not meet with your high standards, we will fully refund you, as long as you send us an email, within 30 days. 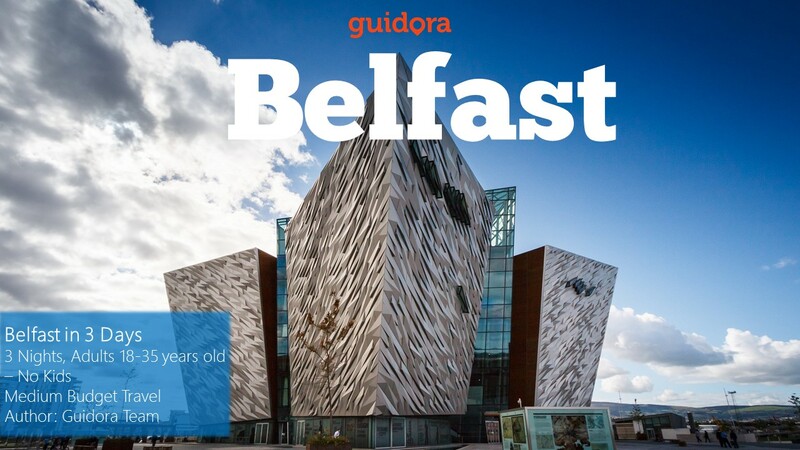 Download this amazing guide now and we promise that we will help you have an unforgettable time in Belfast!